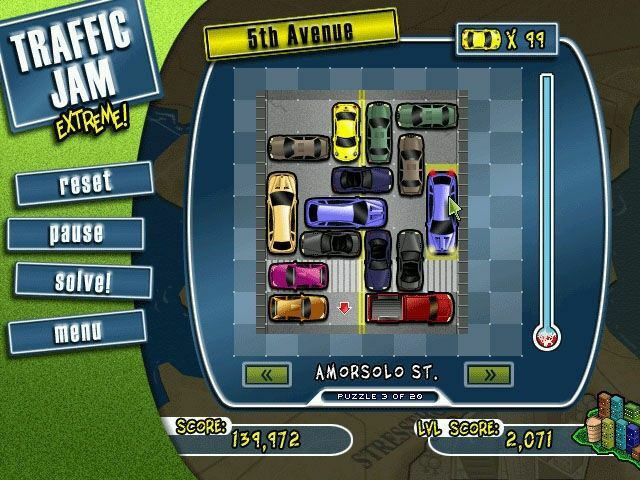 Traffic Jam Extreme is a highly-addictive puzzle game where the goal is to untangle the vehicles in the lot and restore order to the streets of Stresstropolis. 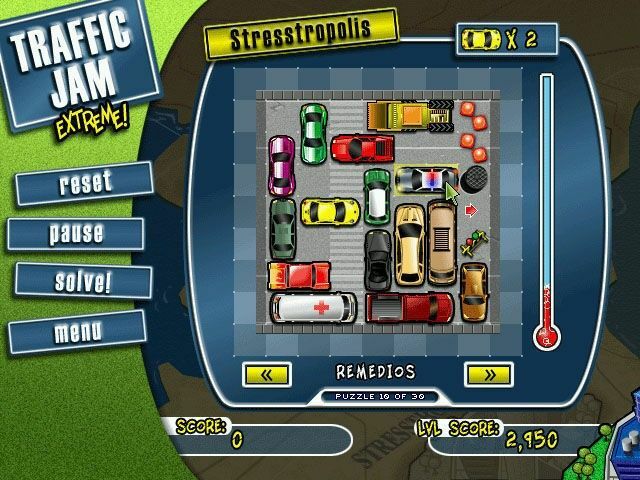 But before you can tackle the traffic in the big cheese, you'll have to go through the suburbs and outskirts of Stresstropolis where things are easier and there is less traffic. 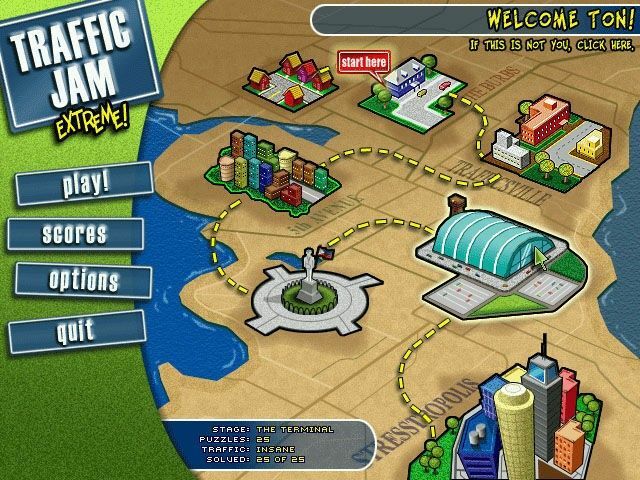 Your goal is to finish all the levels, make the citizens happy and convert Stresstropolis to a traffic-free city. The game contains 150 puzzles, arranged in increasing difficulty. The names of the streets in the game are real and were based on the different areas in Manila, the capital of the Philippines.